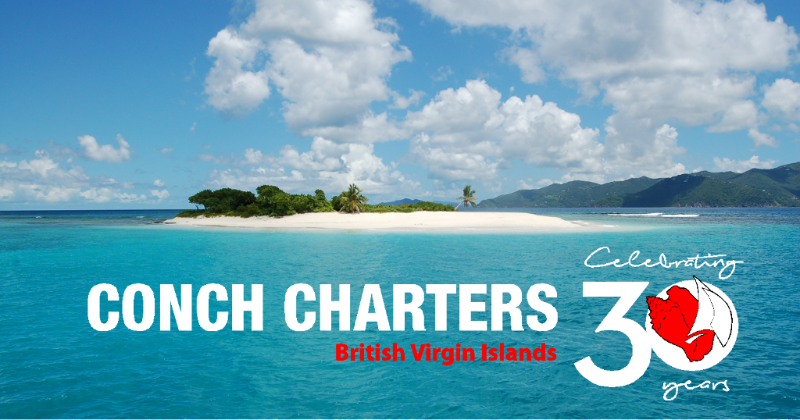 Current news from the BVI! 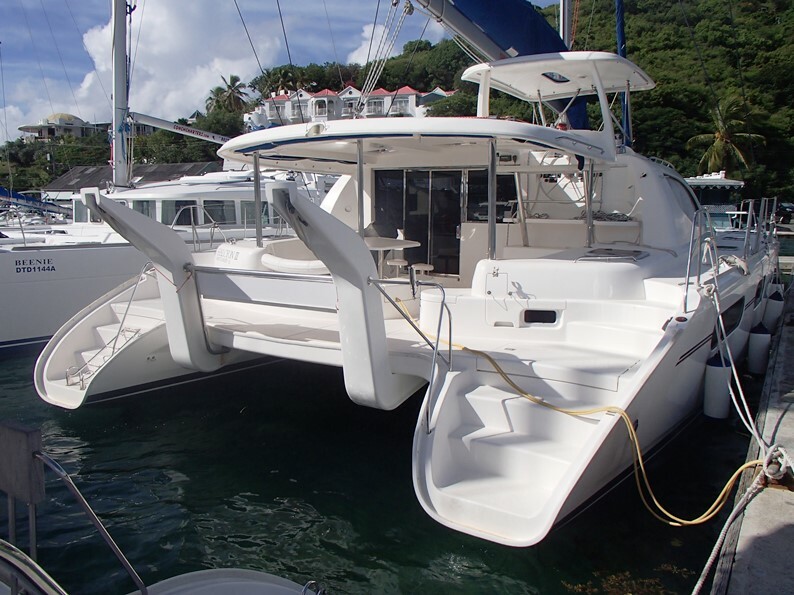 We are pleased to introduce our newest fleet addition, a Lagoon 42 2017 owners version available from 1st October 2017. 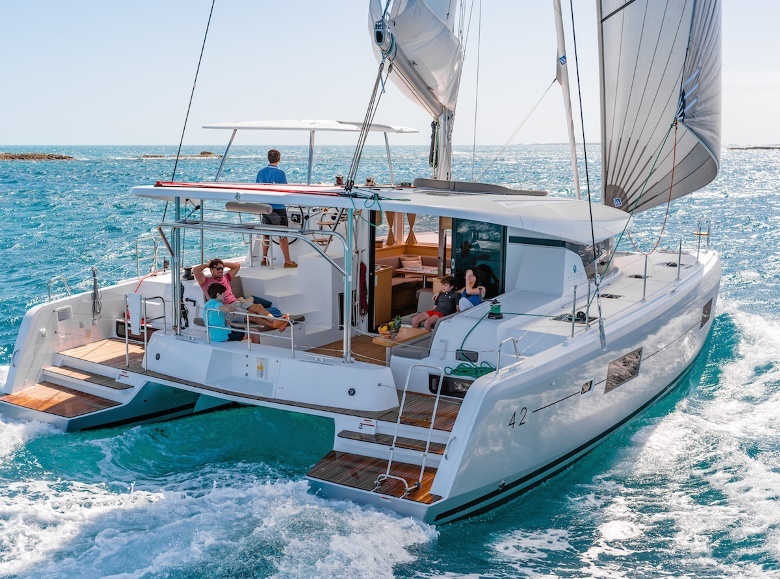 A great vessel for groups or families, the Lagoon 42 was Cruising World’s Boat of the Year 2017! More than just a race! 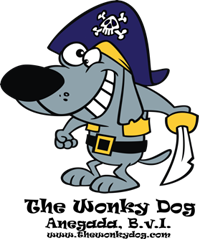 This competitive 2 or 3 mile swim or SUP (Stand Up Paddleboard) across the North Sound is a great family event that helps to raise money for VISAR (Virgin Island Search and Rescue). 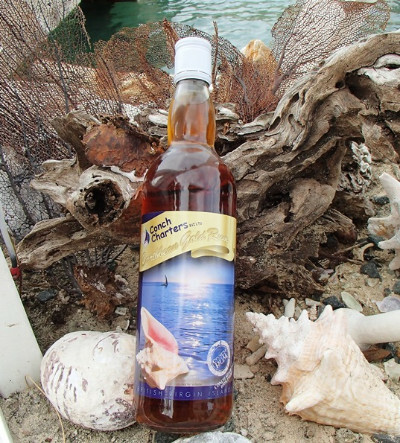 At the end of the race enjoy a cool drink and beach BBQ at Leverick to celebrate, everyone is welcome! 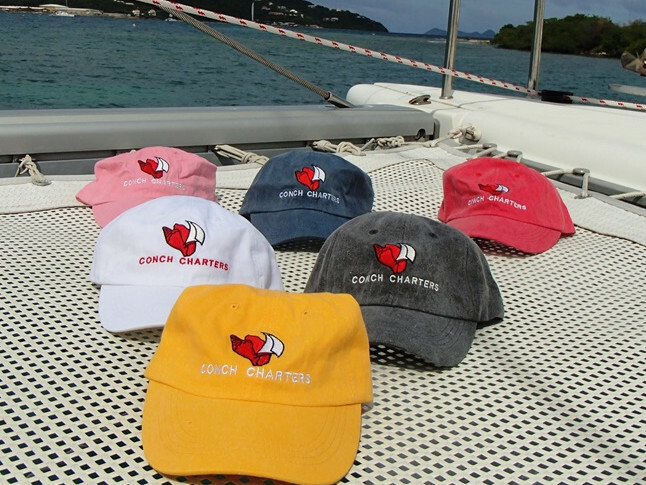 As part of our continuing 30th Anniversary celebrations we have introduced a new t-shirt design to the Conch Charters boutique! 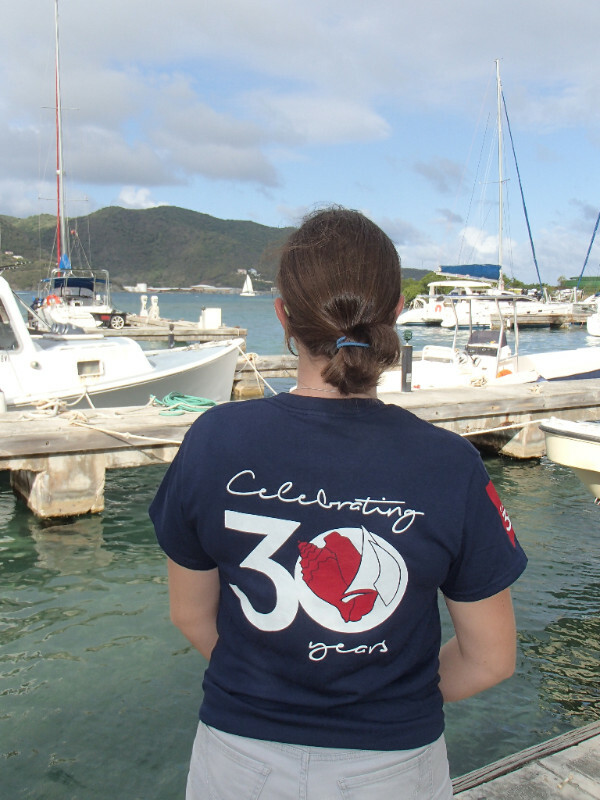 Be sure to pick one up one of these limited edition t-shirts when you next visit. 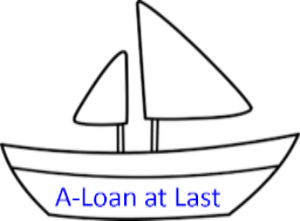 Get a new boat for your husband- it’ll be a great trade! 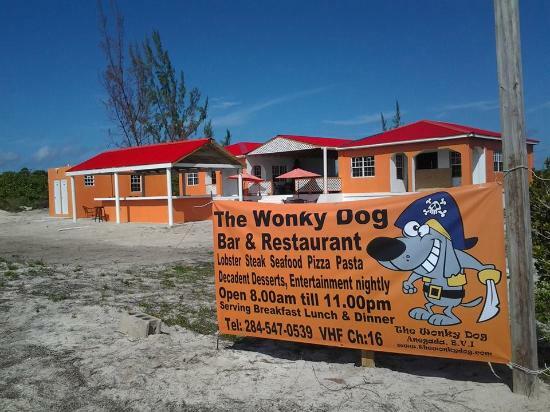 The Wonky Dog Bar and Restaurant has a perfect location right on the edge of the water at Setting Point, Anegada. 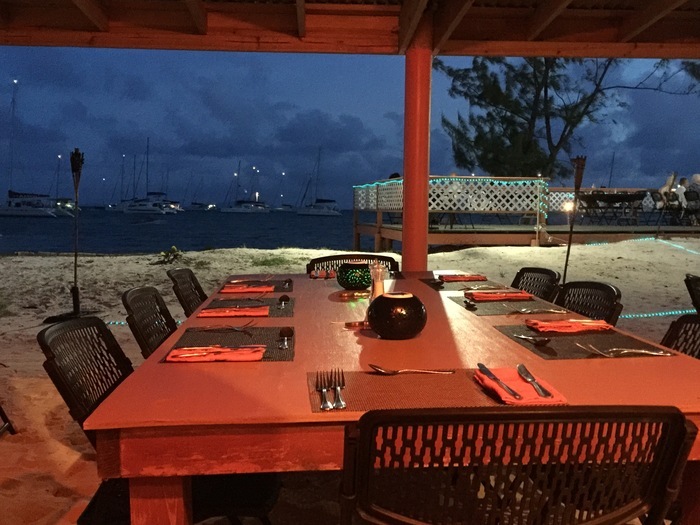 Enjoy cool breezes and great views with fresh seafood and famous Anegada Lobster, a winning combination! 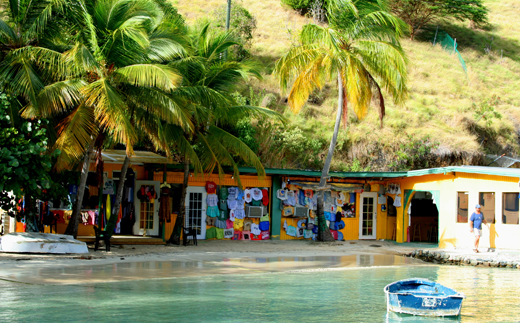 The friendly staff and casual atmosphere will make you feel like you are part of the family. There is usually entertainment 7 days week, including fire shows and live bands! Reservations recommended, particularly for dinner! What is the name of the Bar & Restaurant that still uses the honor bar system? 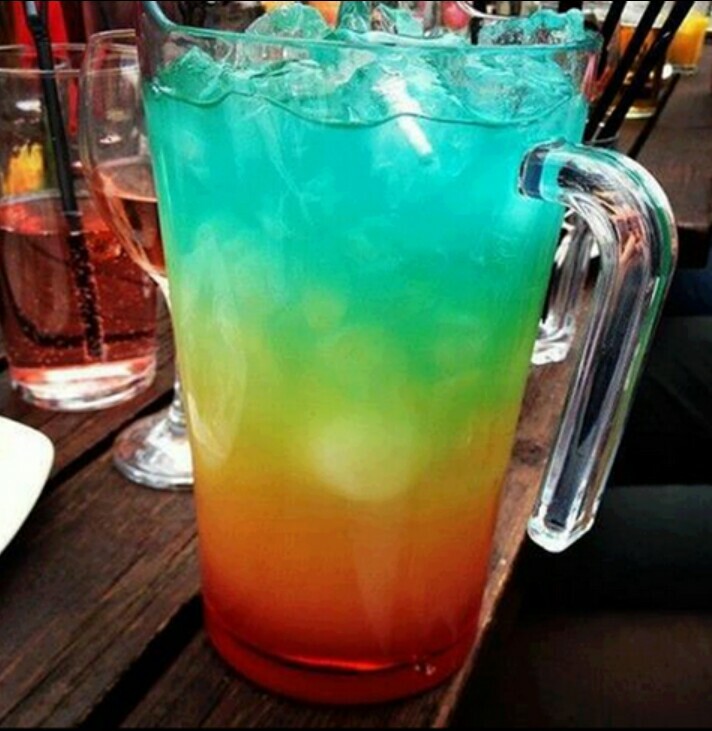 Slowly pour each ingredient into a pitcher filled with lots of ice! Don’t forget to serve with a slice of orange. 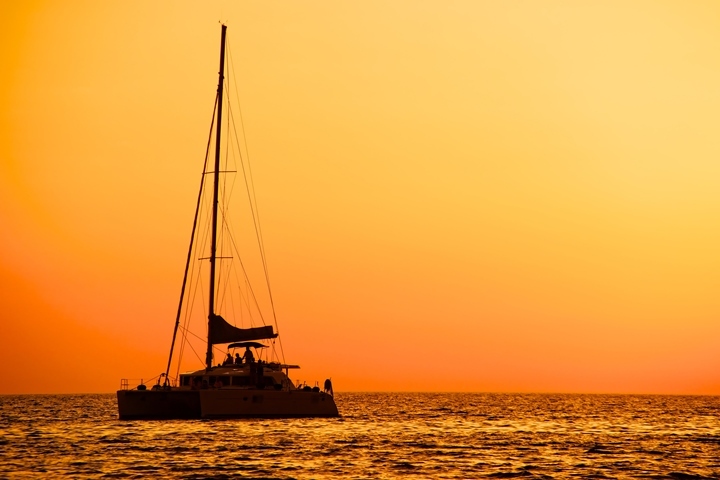 Built by Robertson and Caine, and designed by renowned architects Morrelli and Melvin, the Leopard 46 is a blue water cruising catamaran that combines spacious living accommodations, high quality fittings and great performance. 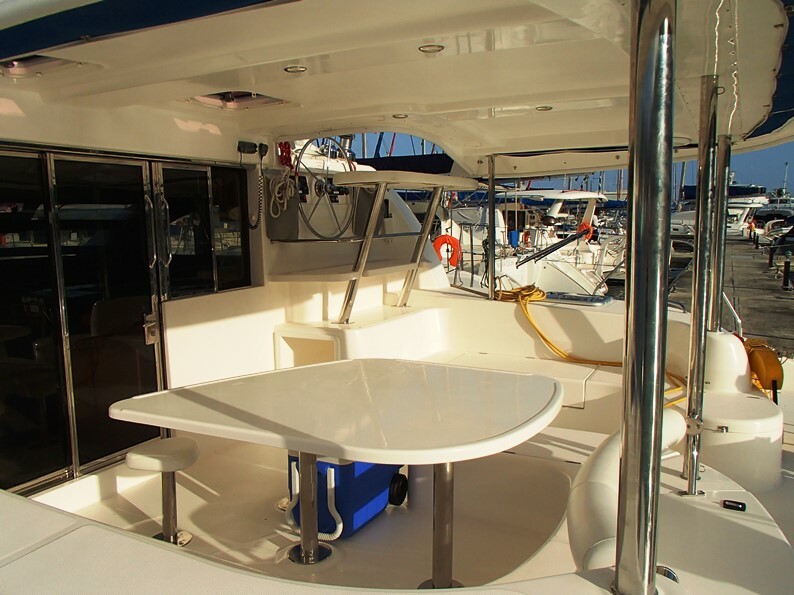 Inspired by the Leopard 62, the raised helm station is located in the hard top roof with open access to the cockpit and all controls lead aft, for excellent visibility and ease of manoeuvres. 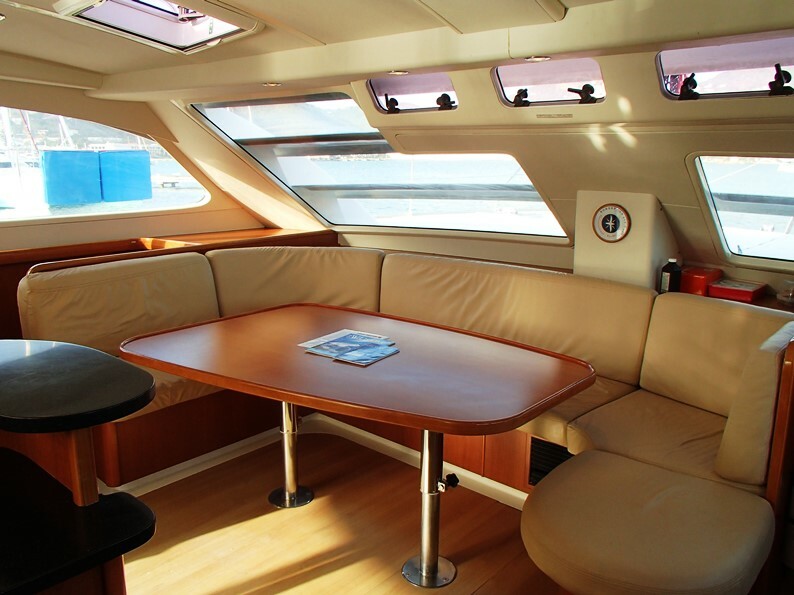 Attractive beech wood finishes throughout. 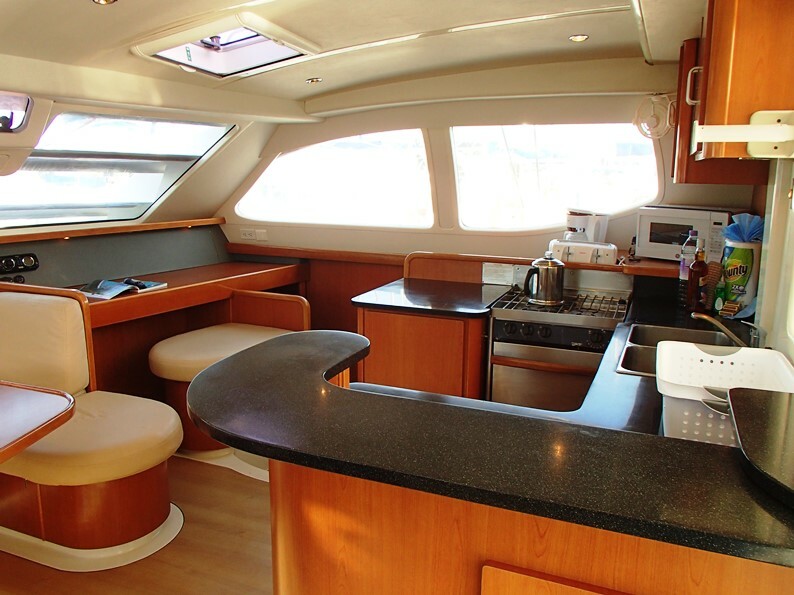 The both hulls accommodates two spacious cabins each with en suite head and separate shower. 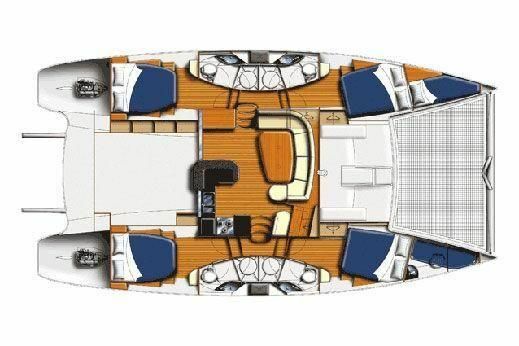 The signature ‘walk-through’ access to the roomy cockpit and aft bathing platform connecting the two transoms, completes this exciting model. This vessel has recently been surveyed (May 3rd 2017) and we have a copy available to view upon request.